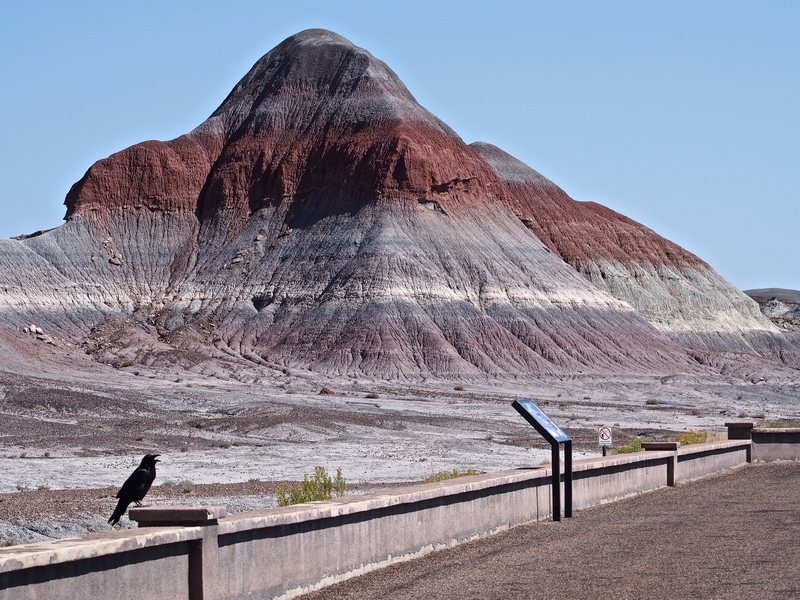 My road trip destination September 1st was the Painted Desert near Holbrook, Arizona. I am celebrating my 10th anniversary on the road by visiting some of the places I experienced back in 2007 when I first ventured onto the road in my home on wheels. The wonders I found this time around were more than I remembered. Partly due to the national park service opening up new areas for the public to enjoy. 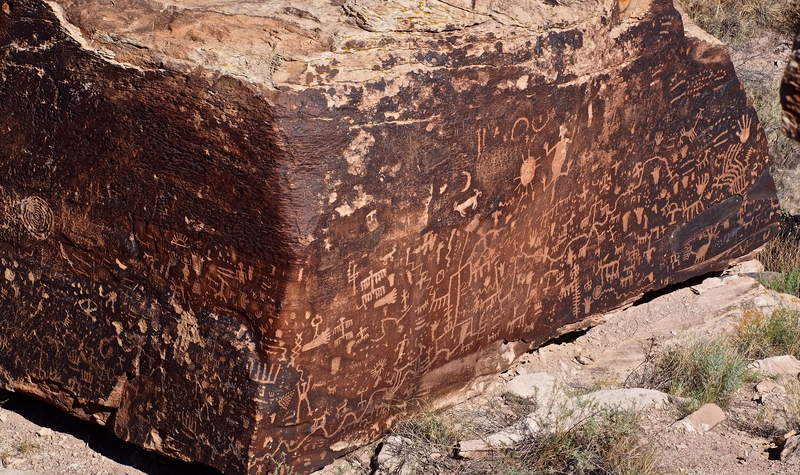 A high concentration of petroglyphs at the Newspaper Rock site indicate use of the area over many generations. Some of the carvings are clan symbols, some have spiritual meaning and others mark calendar events. 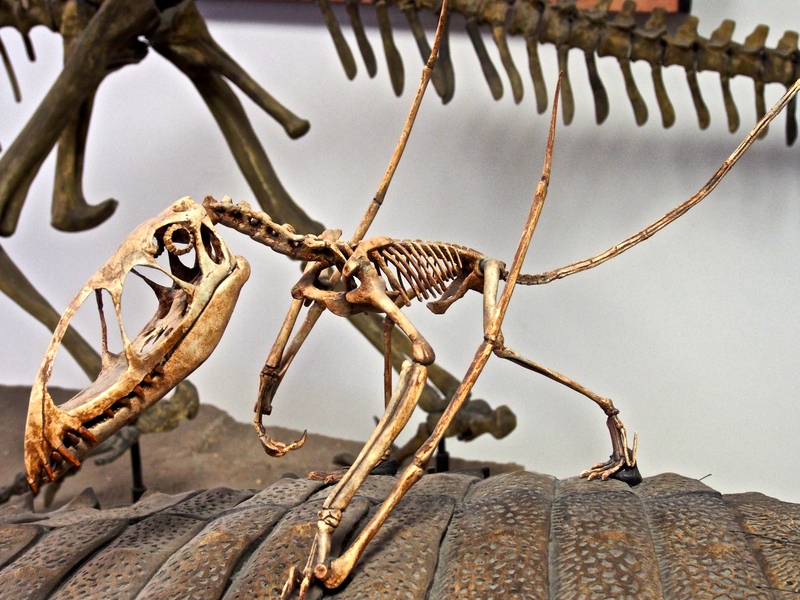 This little prehistoric bird in the onsite museum was so cute, I just had to photograph her. 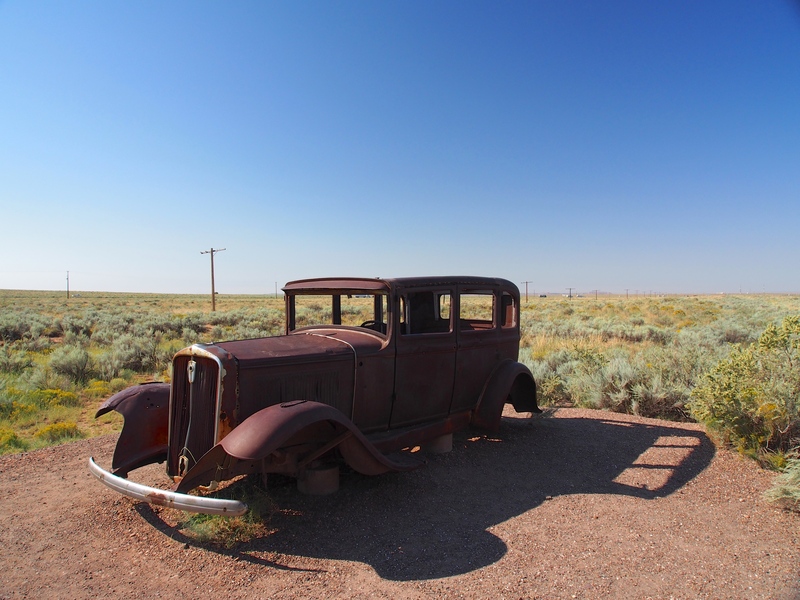 Back in the days of auto migration west this Tin Lizzie, casting its shadow on the desert floor, made it as far as the Painted Desert where it remains today. It stands as a tribute to the many thousands of families seeking jobs and better lives in the golden west during the great depression. 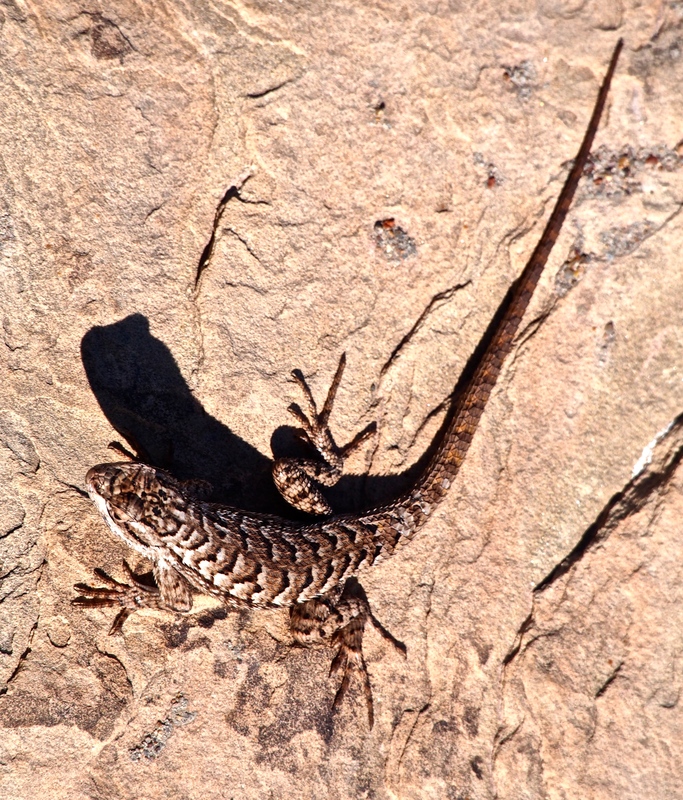 Another kind of Lizzie casting a shadow while sunning in the 90+ temps of the Arizona desert. Wherever you are in your life and adventures, I wish you cool shade and cooler shades. Beautiful pictures and I especially love the Teepee rock one. So colorful. I too remember your first journey. I am sure it has special places in your heart. Enjoy! Safe travels my special friend. It is 99 degrees in Reno today. Pretty pictures. Wow – 10 years. You’re still my hero. Thank you so much for sharing your travels and adventures. So many of us will never be in a position – or frame of mind – to do what you’re doing, but we can live the dream vicariously through you. I’m proud to know you! Congratulations on your 10th Tin Can anniversary. 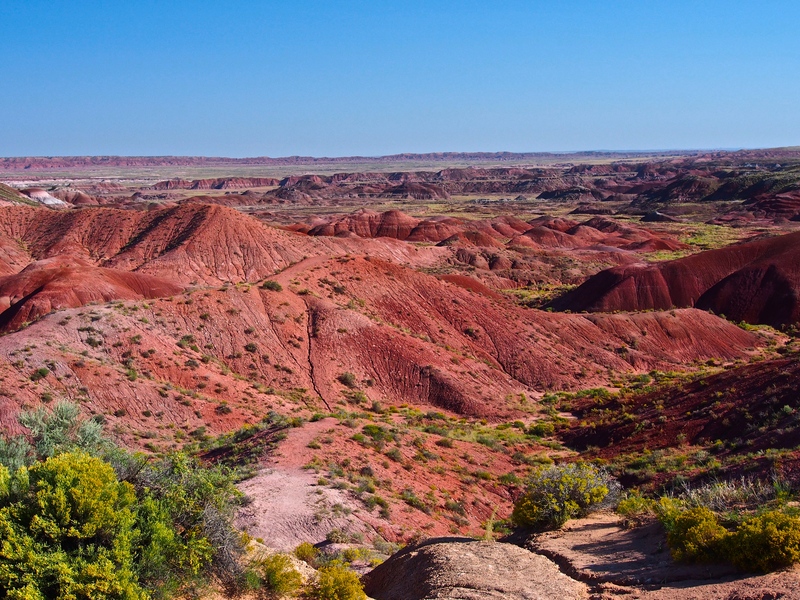 Love the look of the painted desert – just the sort of place I’d visit again and again and again.